Though it seems the focus in criminology and criminal justice careers is often oriented toward law enforcement and policing, the fact is there are lots of job opportunities for non-sworn (read civilians). Thanks in part to books, televisions and movies, careers in the forensic sciences have quickly become some of the most sought after career paths for aspiring professionals. As interesting and exciting as these careers may appear, it's no easy feat to land a job in forensics. They are often highly competitive, and hard to find to boot. In some instances, you may even have to become a law enforcement officer before you can break into forensics. With all that in mind, before you spend the time and energy in searching for forensics jobs, you really want to make sure you meet the qualifications to become a forensic scientist. While there are no set minimum standards or baseline qualifications to work as a forensic scientist, there are three things all aspiring forensics professionals need: intellect, education, and experience. Forensic scientists are just that: scientists. To become one, you need to be an intelligent person capable of grasping the scientific process. Moreover, you need to have the right education and experience to prepare you for your career. There are plenty of degree programs available that specialize in forensics and crime scene investigation. The most valuable degrees, though, are in realms of the natural science. Rather than getting a general forensic science degree, you should focus on studying physics, chemistry or biology. Earning a bachelor’s degree is a good start and will put you in a position to gain valuable experience working in a lab, but you will most likely need to earn a master’s degree. By studying to be a scientist first, you will ensure that you’re well qualified for any job in forensic science. In order to qualify for a career in forensic science, you need to have experience collecting and analyzing data and information. Again, your education can help here if you study a natural science. You can also volunteer or find part time work as a laboratory technician or assistant, which will provide valuable experience and potential contacts for full-time employment after graduation. 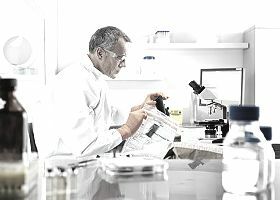 Forensic scientists work with sensitive information and, like other criminal justice and criminology professionals, must be held to a high ethical standard. To make sure you’re the kind of person who can be trusted for the job, you’ll need to be able to pass a background check. Prior arrests, a history of bad or defaulted debts, past illegal drug use or substance abuse are all examples of issues in your past that could keep you from getting a job. What may be considered a youthful indiscretion in some job fields can be a career killer in forensic science. One of the most important things you can do to make sure you can qualify for a job is to avoid the type of behaviors that will disqualify you during your application process. Just because you get the right degree, gain the experience and keep your nose clean, there’s no guarantee you’ll get the job. There are a lot of things you can do to make yourself a better qualified and attractive candidate. Consider subscribing to forensic science-related publications and professional organizations to keep with trends and changes in the field. Connect with other professionals and find out how they got their start, and hone your written and oral communication skills so that you’ll be better able to articulate how well qualified you really are. Before you know it, you’ll be well on your way to working in the field of forensic science.